BACKGROUND - Founded in 1992, in memory of the former "Exit Coffee House" that was housed in the same location in the sixties, the Coffee House was created as a social arm to the Downtown Evening Soup Kitchen and designed to assist its guests, and others who attend its weekly events, by providing information, support, motivation, training and referrals.. especially to those who are struggling toward self reliance, the homeless and working poor. TYPES OF ACTIVITIES - Workshops, Guest Speakers, Outings, Holiday Events, Tournaments, Arts & Crafts, Veterans Stand Down Support, Talent Shows and other activities are held in a relaxed safe and friendly environment. 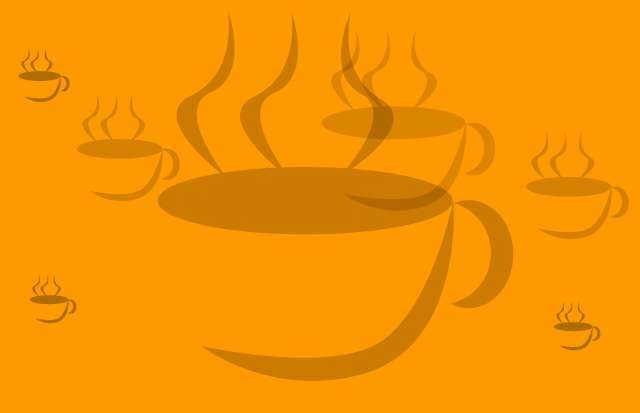 WHEN & WHERE - Each Tuesday from 3pm - 5pm at the First and Summerfield UMC, New Haven, CT, the Coffee House is open just before the evening meal at 6pm...To find out more about our hosts..Click Here!! Here at the Coffee House you will find some of the coolest peeps....gettin their groove on! It drops like magic, without a sound. It is sent from God, to nourish the earth. As it does in the spring to give the season new birth. I can easily return to my childhood days. Or a teenager in school with no worries or pain. Where unpleasant scenes can unfold as well. Or search and destroy missions without given reason. With the rain falling just before daylight. Or a rude awakening in a water-drenched foxhole. You'll wait out the rain!! 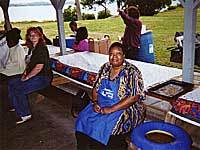 We are planning events for Black History Month, 2004. 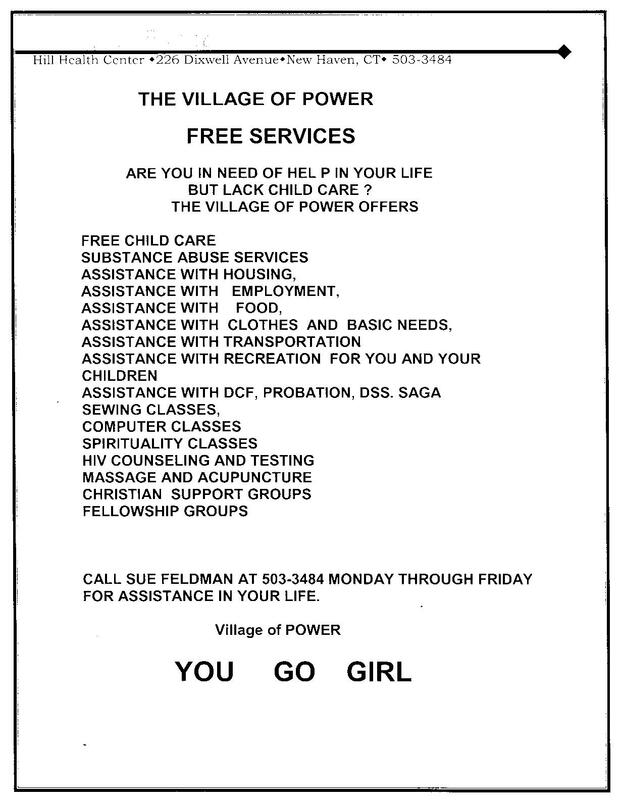 A caseworker from Village of Power, a program of the Hill Health Center Outreach Center will be on hand on Feb 10th to show the film 'Touched By an Angel', followed by a discussion. Another caseworker will be stationed at the Coffee House each Tuesday assisting our guests with referrals to services they need. CLICK HERE To see the variety of services are available. Other events are in planning stage. We are always in need of toiletries, warm clothing (hats, gloves and scarves etc), gift certificates, bus tokens etc. For Those Interested In Some Excellent Sites For African American Information...CLICK HERE!! ~ HOW CAN YOU HELP...YOU ASK ??? ~ ....and for those who were brought here by last year's mailing called 'Un_Event - Tea Party', We thank you for coming and for your donation. Friends and associates have offered blessings and encouragement for the work I do. When asked if we welcome donations to support our efforts... I respond, "Heck Yes! "...We are looking to purchase arts & craft materials, refreshments and food related supplies etc...any help I can get would be greatly appreciated...We are also looking for performers...and we are looking to rent a bus to transport Veterans to this year's Stand Down in Rocky Hill, CT., in September, 2005. If you like, I can highlight you as a supporter on this page for all to see. ALLERGY SUFFERERS...To Get An Allergy Forecast for your local area or anywhere in the US.. Check Out This Link...Click Here! This Page is a "WILLDO ENTERPRISES CREATION"..To see what's going on at another Willdo Site...CLICK HERE!